A 51-year-old woman was brought to the emergency room after a high speed motorcycle accident. She complained of pain in the thoracolumbar region. Sensorimotor functions of the lower extremities were preserved. 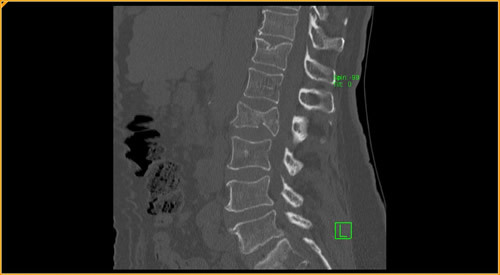 Non-enhanced CT of the lumbar spine was performed.